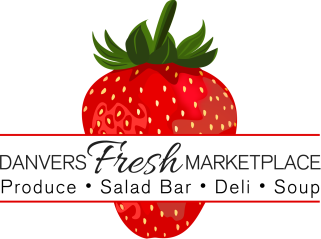 Danvers Fresh Marketplace is located where the old Murphy's Market was in Danvers Square. We offer a full line of fruits and vegetables. Our produce comes directly from the Produce Market in Boston to our door, so freshness is a guarantee! While you’re here don’t forget to check out our large selection of meats at our Boar’s Head Delicatessen. We make all of our sandwiches with Boar’s Head meats and cheeses! Check out our fresh salad bar while you are here and don’t forget we make platters and gift baskets too.